This past weekend was absolutely wonderful. It was a perfect mix of being busy or having places to go and relaxing with people that fill me with joy. Saturday was especially enjoyable. My friend Maria (whom you've met before) and I made plans to meet up for a visit in the Riversdale area of Saskatoon. There are so many unique restaurants, bakeries, and coffee shops (and soon a juicing storefront - Thrive) in the area that it was difficult to decide where we should go. After running late and then assisting my neighbour who was locked out of both her house and her car I finally met up with Maria - over an hour late. She's super patient, that woman! 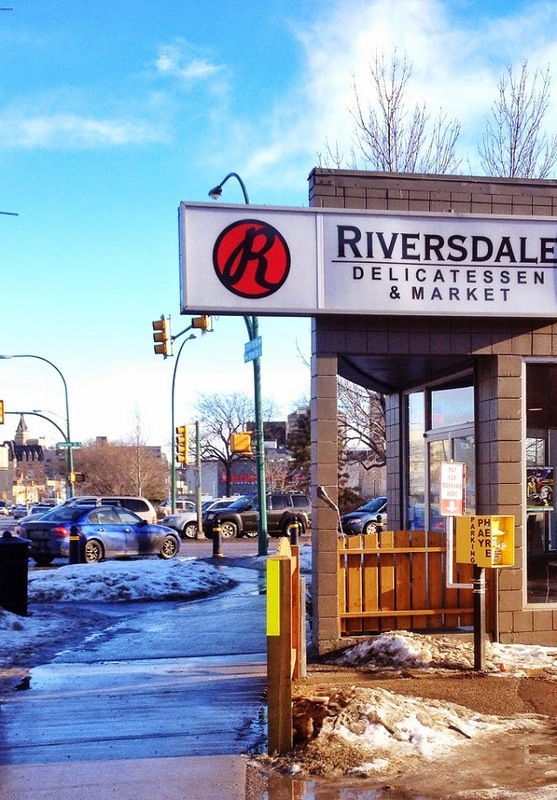 We settled on the Riversdale Delicatessen & Market on the corner of Idylwyld Drive and 20th Street. 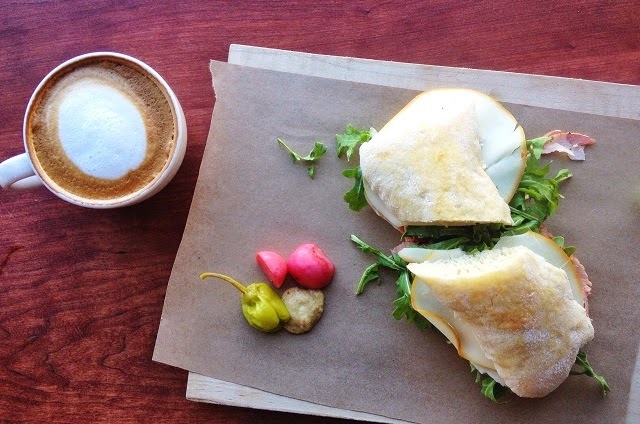 I had the Motherlode Sandwich and a cappuccino and Maria had the Oven Baked Trout sandwich. The food was great! Both Maria and I really enjoyed what we had ordered. I had never had a sandwich quite like the Motherlode and I'm excited to go back and try the other sandwiches. It turns out that I know one of the partners, Chef Darby, who is the brother-in-law of a friend that I went to school and dance with. He caught me snapping some photos for Instagram and pointed it out - yes, I might have been standing on the rungs of the bar-height chair to get a good angle; please tell me I'm not alone in this?! Anyway, if you ever have the chance you really should visit the Riversdale Deli and let me know what you think! After lunch with Maria I went to my boyfriend's brother and sister-in-law's place for his niece's 2nd birthday party. His sister-in-law (who recently started blogging over at Joy Observed!) 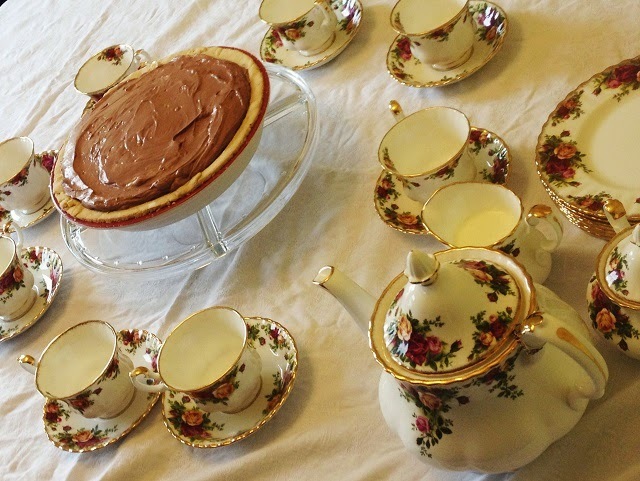 decided she would like to try having a real tea party with the little ones; as in, using the real china. It was so much fun, absolutely beautiful, and the children all did so well! Head over to her post about the afternoon to see some more photos of my boyfriend's nieces and nephew being oh-so-careful while using their tea cups! I know we're closer to next weekend than last weekend already, but how was your weekend? Thanks Jade! I'll definitely check out your blog. Oh absolutely! We were going to just have coffee and pastries down the street, but we needed something more substantial - it was so tasty!